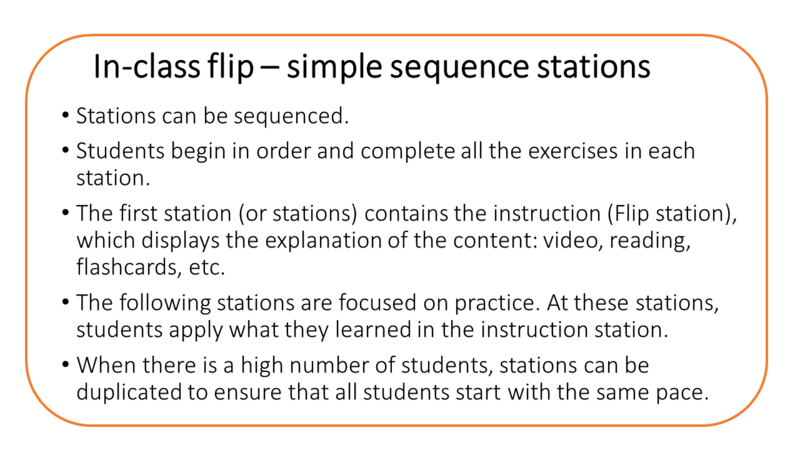 Here’s an explanation of in-class flip with its types of stations, sequencing and examples based on trial and error (still in process). 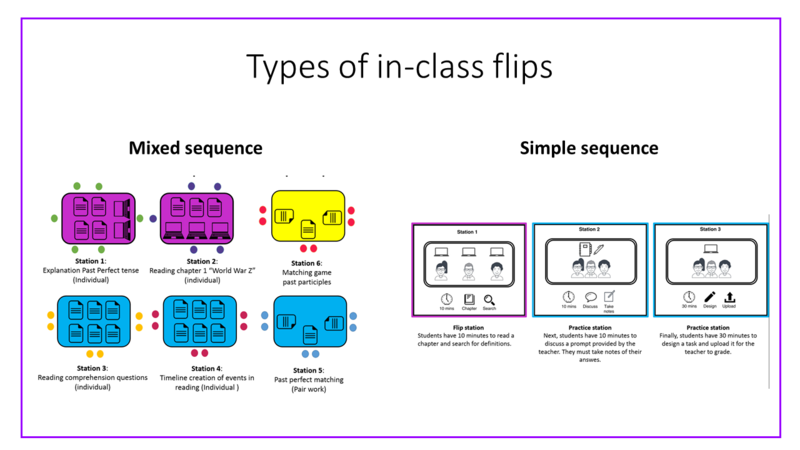 It is important to note that every in-class flip will vary depending on number of students, physical class space, resources, class focus and student dynamic, among other aspects. 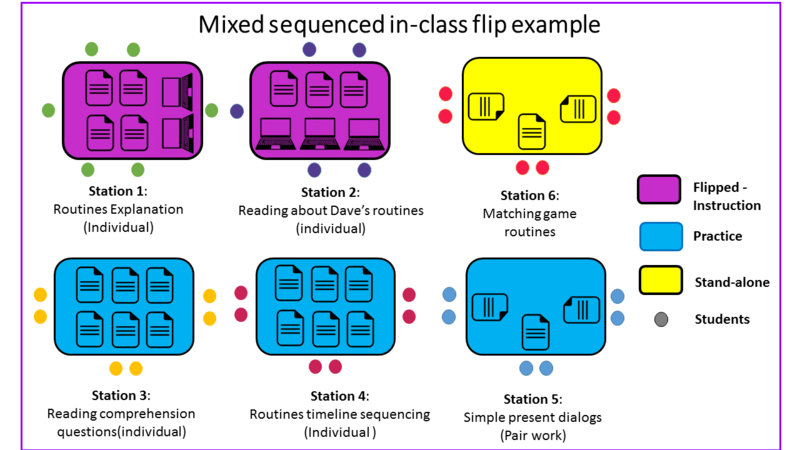 Sequenced or mixed flips depend on every teachers needs and individual class needs as well. Getting one’s head around the logistics is a process, but once you get the hang of it, you’ll love it! Feel free to leave your comments and questions! Barnes, M., & Gonzalez, J. (2015). 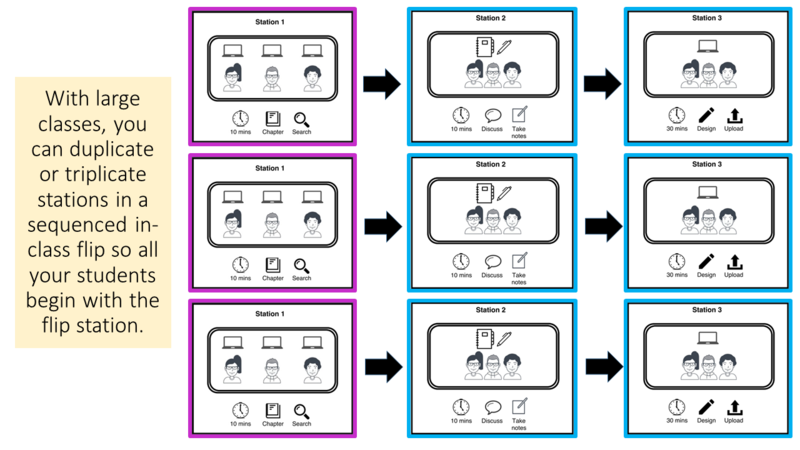 Hacking Education: 10 Quick Fixes for Every School (Hack Learning Series). Cleveland, OH: Times 10 Publication. 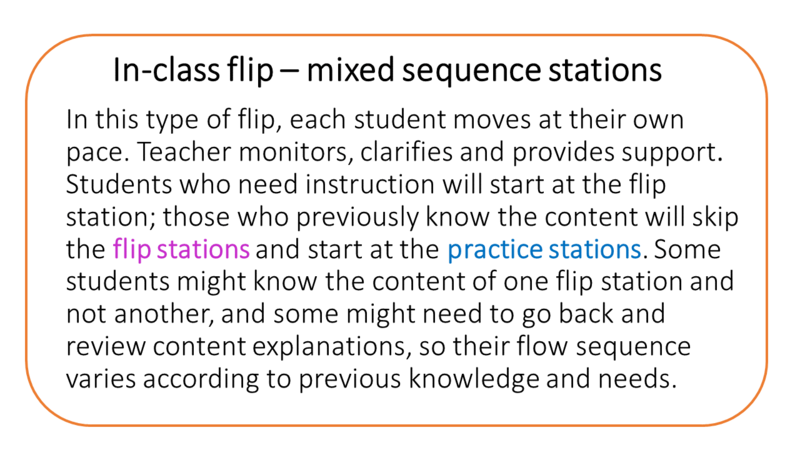 Martha: this is a great representation of the “In-Flip.” I really like the images and the explanations. 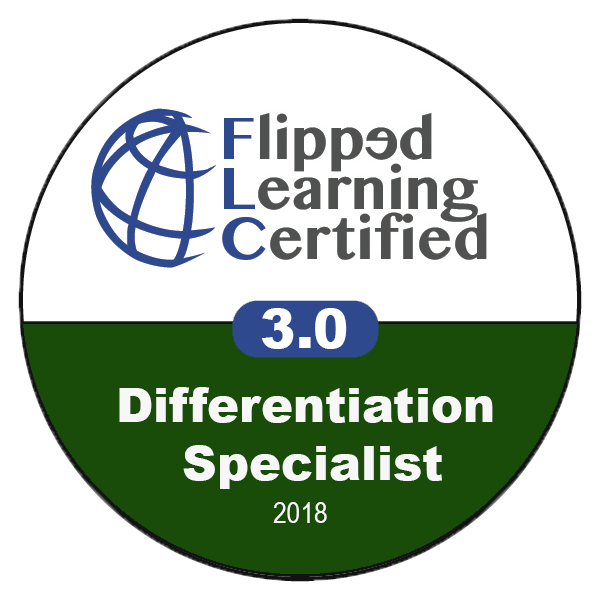 This will be a very helpful tool for many teachers as they make the transition to flipped learning. 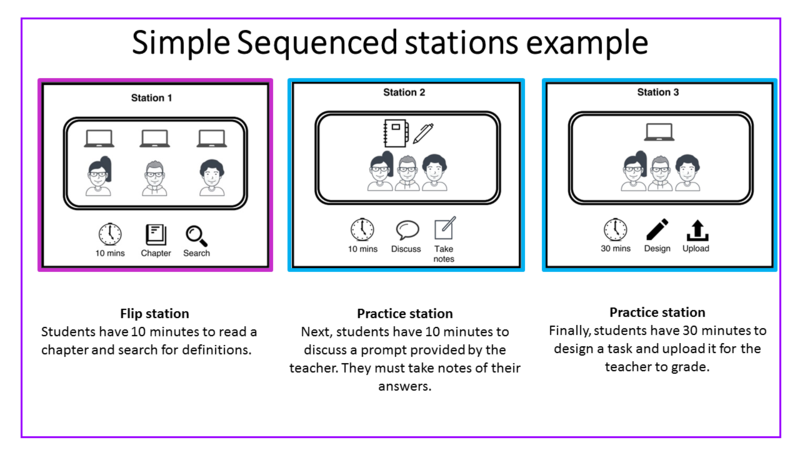 Hi Martha, the approach proves to provide classes with innovation, I like that it fosters metacognitive strategies such as self-monitoring, and assessing. I just wonder what are the most frequent types of tasks your students produce, for instance in a pronunciation class? Hi Martha, just wondering how do you manage with the feedback? How students are checking their answers? Are you giving them an answer key? At what stage do they have acess to the answer key? Sorry for the late response (I did not receive a notification of your comment and just saw it). 1) how do you manage with the feedback? // I give feedback as I monitor students’ work and, depending on the aqctivity, I collect certain tasks so I can check, sometimes grade and then give back with corrections or written feedback. 2) How are students checking their answers? Are you giving them an answer key? At what stage do they have acess to the answer key? // It depends on the objective of the station. Sometimes I give them an answer key within the station, which they must revise only when they have finished. Then I clarify when doubts arise. 3) What about if students follow a coursebook and the practice exercises are in the coursebook? 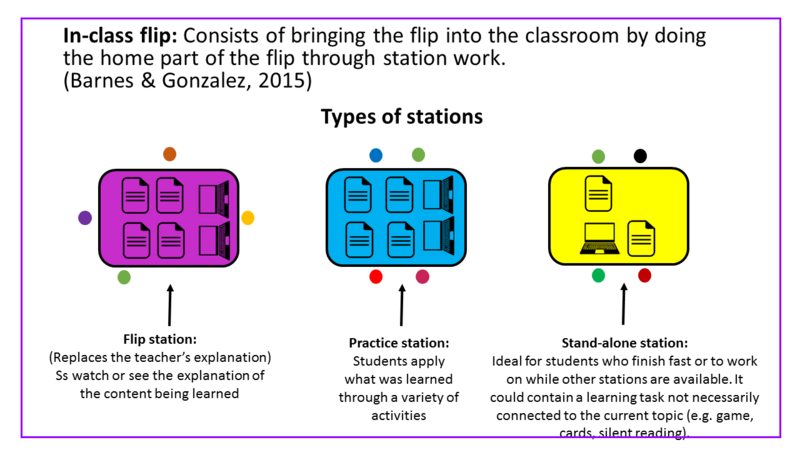 I believe the stations with different resources and content materials. 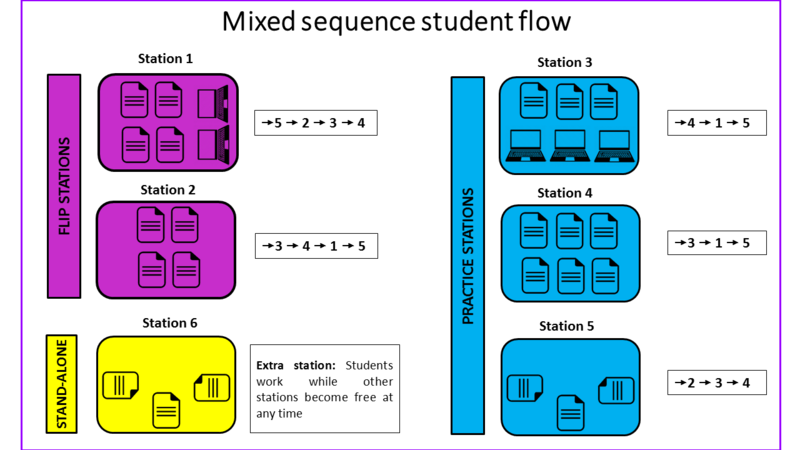 So if you use a coursebook, you could use it in one station, but it would be a good idea to vary with a worksheet, powerpoint, game, QR code, audio, hands-on creative activity, etc. 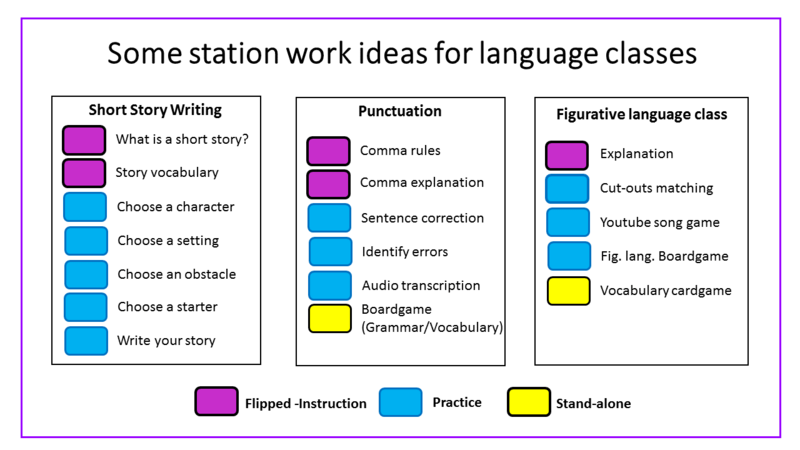 depending on the topic and the objective of the station. You’re right, if it’s all just the book, then what’s the point?